Private. Elegant. Residential. Stay Once, Stay Nowhere Else! Smack in the middle of sister towns of Spring Lake, Sea Girt, Manasquan, Brielle & Point Pleasant. Jersey Shore at its best. 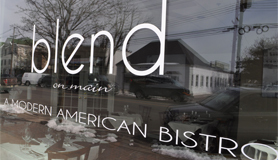 Superb Cuisine Meets Manasquan. Expect Chef Lou Smith to visit with you.